Much like running a marathon, building a successful marketing program takes dedication, patience, training and a lot of stamina. These things don’t happen overnight, especially if your current email program is a tad out of shape. So how do you get your current email program to “feel the burn” and transform into the polished, strong performer you want it to be? 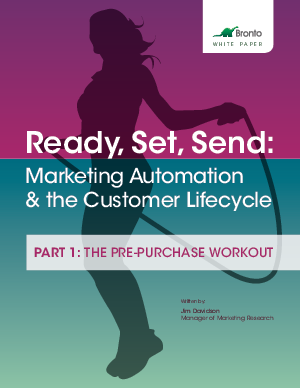 This 4-part white paper series will take you through each step in the process, acting as the personal trainer that will whip your triggered email program back into shape, through smarter customer engagement and use of automation.